Let’s examine the upcoming General Data Protection Regulation (GDPR). The requirements under the GDPR have provided a new compliance path for many organizations around the globe. This path comprises multiple steps in order to conform to the regulatory requirement. Let’s take a look at how organizations can take the first few steps towards GDPR compliance. A great first step to GDPR compliance is to think about the data your organization manages and how it is processed. Whether data management is an internal function or outsourced, if you are making decisions about how you collect data and how it is processed within your organization, you are a Data Controller. The Data Controller is a specific role in GDPR. However, if you process requests for such actions (data processing or management) from a customer or data provider then it is more likely you are in the Data Processor role. No matter which roles apply to your organization, if your company handles EU citizens’ personal data, GDPR compliance is still required. Download our Whitepaper: Are you GDPR Ready? What data is now considered “personal”? What is the intent of these privacy controls? Working with third parties – If you engage data processors or controllers as part of your business, make sure to require GDPR compliance. If a failure in the third party processes reveals PII to those who do not have a need to know, your organization will also be held liable. 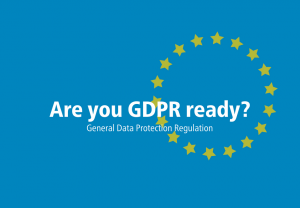 CIS has numerous resources which can help your organization work towards GDPR compliance. CIS SecureSuite® Membership: Includes access to CIS-CAT Pro Assessor configuration assessment tool, CIS-CAT Pro Dashboard web application with enhanced reporting features, remediation kits for rapid implementation of secure CIS Benchmark configurations, and more. CIS Controls™: Prioritized best practices and policy guidance to help organizations defend against the vast majority of cyber threats.